bKash is a sister concern of the BRAC Bank. It’s a mutual business enterprise of the BRAC Bank Limited, Money in Motion LLC, USA. The International Finance Corporation (IFC) became a partner in April, 2014 and Bill & Melinda Gates Foundation gets its equity investor. bKash comes with the ultimate goal to ensure access the largest assortment of the financial services to all people of Bangladesh. Specially, it focused on the low income individuals of the country with affordable, reliable and conveniently. Are you looking for bKash customer care numbers? You are on the right track here. Its executives are ready to help your various issues regarding the service. All of your queries, suggestions and complaints are accepted and answered by the customer care executives. It serves 24/7 basis customer service from the helpline 16247 and you can call from any mobile operators, including Robi, Grameen, Teletalk, Banglalink and Airtel. The customers can email to: support@bkash.com. You have chance for Live-Chat at its website: https://webchat.bkash.com/. However, you can drop a message in the inbox. The customer care centers of bKash in the Dhaka city are as follow. 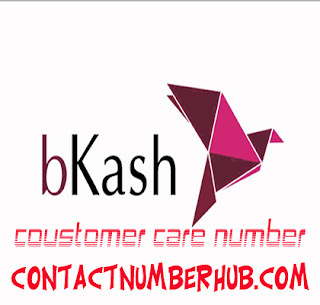 You can contact for bKash PIN reset, latest bKash information, opening a new bKash account and much more. Service Schedule of the Customer Care Centers: bKash customer care centers are open for 7 days weekly from 9 AM to 5PM daily except government holidays. Mohakhali: 5, Mohakhali C/A, Paragon House (2nd floor), Dhaka-1212 (Opposite of Ban the Bhaban -Forestry Office,). Bangla Motor: 114, Bangla Motor Moor, Rupayan Trade Center, (Ground Floor), Kazi Nazrul Islam Avenue, Dhaka. Jatrabari: 40/1/A, Shahid Faruk Sarak, Rahman Plaza (1st Floor), Jatrabari, Dhaka. Tangail: Based Khan Tower, Holding No : 0117-00 , Victoria Road, Tangail. Gazipur: Matribhumi Enterprise, Holding No: 494 (1st Floor), Rowshan Sarak, Joydebpur, Gazipur. Mymensingh: Jubli Ghat Sadar, Holding No. 21, Mymensingh. Chittagong: 78, Makkah Modina Tower, Agrabad, (1st Floor), Chittagong. Chittagong Muradpur: 59 CDA Avenue, Islam Tower (Ground Floor), Muradpur, Chittagong. Khulna: Ishraq Plaza, Plot: 43-44, (1st floor), Majid Sarani, Shib Bari Mor, Khulna. Sylhet: 23 ABAS, (1st floor), JR Tower, Jail Road, Sylhet-3100. Rangpur: 34 & 35, AZ Tower (1st floor), Station Road, Rangpur (Opposite Of Sonali Bank). Barisal: Rahmat Manjil (1st Floor), Gorachand Das Road, Bottala, Barisal, Opposite of Bottola Mosque. Rajshahi: Chand Sons Shopping Complex (1st Floor), Boalia, Rajshahi (Near Rajshahi New Market). Bogra: 324, Jhowtola, Borogola, Kazi Nazrul Islam Road, Bogra (North of the Second Rail Gate). Jessore: Floor of Hasan MansionFirst, M M Ali Road, Maik Potti, Jessore. (in front of the Lab Scan). Comilla: 115/2, Roy Complex (Ground Floor), Kazi Nazrul Islam Avenue, Kandirpar, Comilla (In front of the Trauma Center). These all customer care centers are opened and closed at the similar time as mentioned above. You can make queries, suggestions and complaints regarding to bKash service. The customer care executives are ready to solve your issues. It serves 24/7 basis customer service from the helpline 16247 and you can call from any mobile operators.